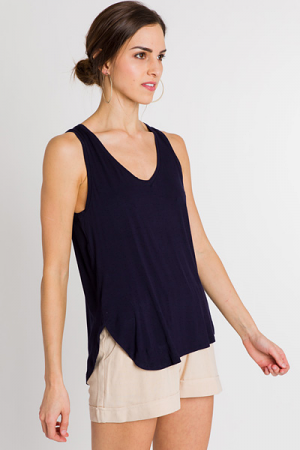 We can't think of anyone who doesn't need this basic layering tank! It's made from the smoothest poly blend fabric, and will be a piece that you take into every season. The longer length and rounded bottom makes it versatile, and easy for styling.